UITS recommends instructors teaching in Canvas at Indiana University use IU eTexts to adopt texts and digital learning tools (DLT) materials from Pearson MyLabs, Mastering Titles, McGraw-Hill Connect, Macmillan, Cengage, or Wiley Publishers. In addition to significant discounts off list prices, benefits of using IU eTexts include streamlined integration into Canvas, single sign-on for students (i.e., no access codes), and local technical support for faculty and students via the Support Center and etexthlp@iu.edu. Pearson MyLab & Mastering is an interactive educational system designed to accompany textbooks published by Pearson Education. When this tool is added to a Canvas course, instructors and their students can use Pearson's interactive instructional materials, including homework, quizzes, and multimedia tutorials. Grades earned in MyLab & Mastering quizzes and homework assignments can be synced to the Canvas Gradebook. For more about this service, see Pearson MyLab & Mastering. Pearson MyLabsPlus enables instructors to manage their Pearson MyLab & Mastering courses from one place. After adding the MyLabsPlus tool to Canvas Modules, instructors and students can access their course and its content directly from Canvas. Pearson MyLab & Mastering is a global LTI app in Canvas; however, by default, it is hidden. 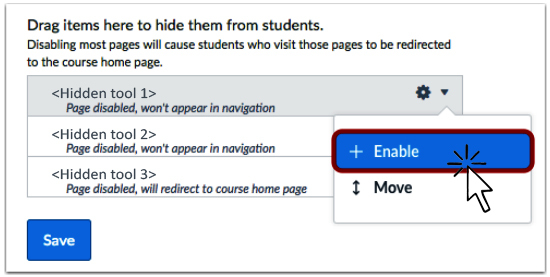 For instructions for adding MyLabsPlus to your Canvas course, see How do I add an external tool as a module item? Before you can use MyLab & Mastering or MyLabsPlus, you must first link your Canvas user account with the application and set up your course. For instructions, see MyLab & Mastering for Canvas: Link Accounts and Courses. Before you can use Pearson MyLab & Mastering or MyLabsPlus, you must first link your Canvas user account with the MyLab & Mastering application. For instructions, see MyLab & Mastering for Canvas: Student Registration and Sign In. This is document bfak in the Knowledge Base. Last modified on 2019-01-24 14:01:49.